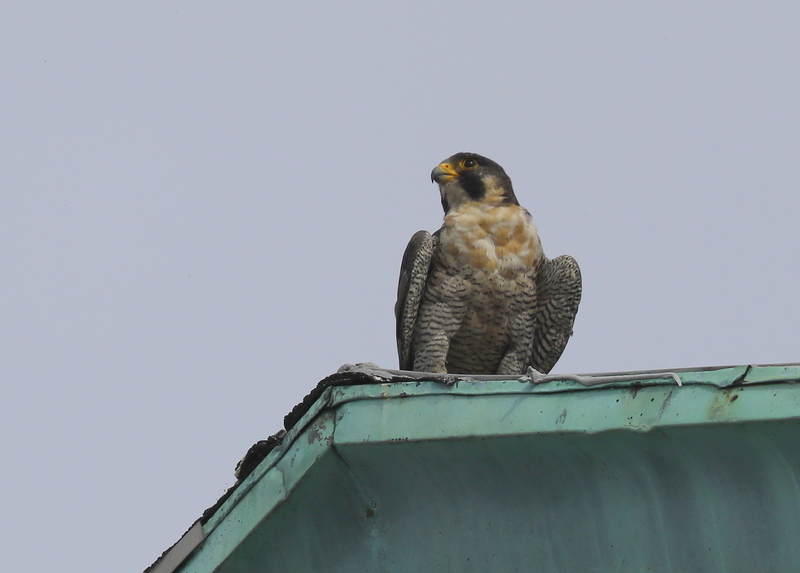 Under mostly cloudy skies, little wind, and temp around 60F, stopped by the Ayer Mill Clock Tower for a look at the Peregrine Falcons. 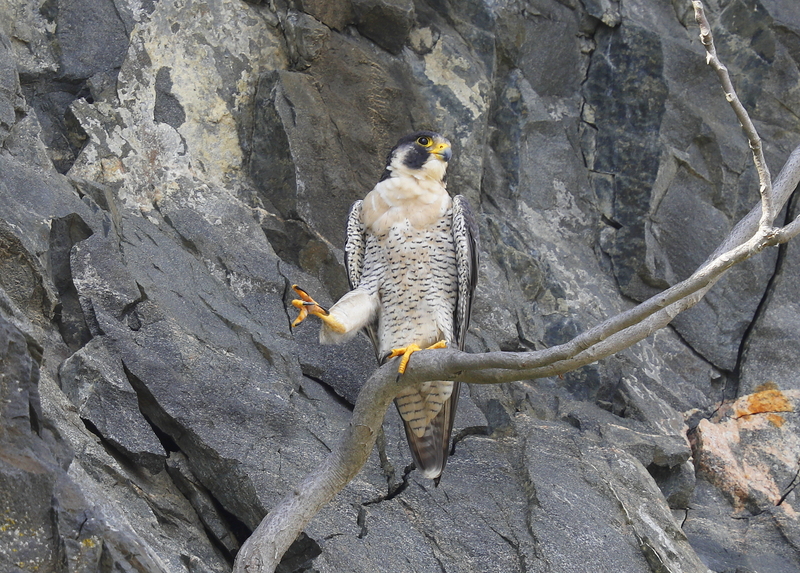 The adult male, with black/green leg bands, was perched on the outside edge of the next box. 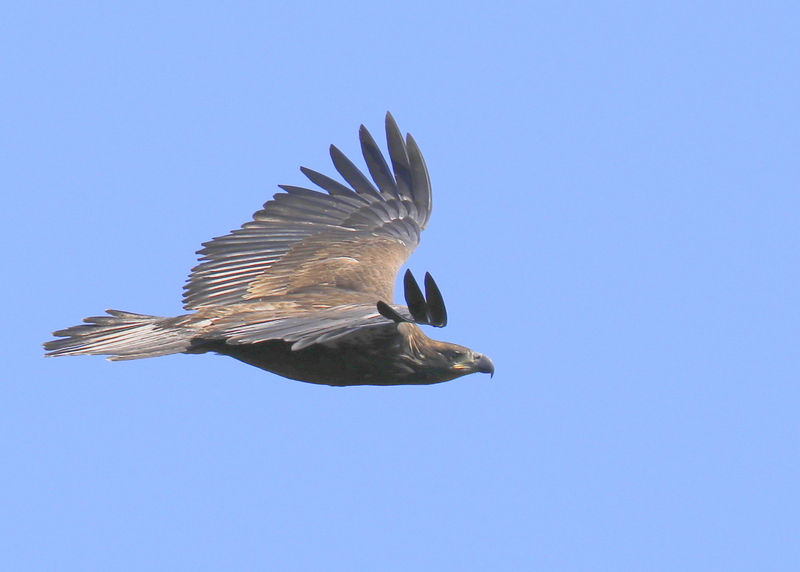 Both individuals of a breeding pair may remain near the nesting site after breeding season. They tend to be more solitary in their behavior, but such pair behavior may be highly variable. In this location, prey is always available with an abundance of pigeons, mourning doves, and bluebirds. The Ayer Mill Clock Tower rises above the restored mill building on South Union Street in Lawrence. The mill building is owned and operated by the New Balance company, the Boston based global athletic company. The tower is 267 feet tall at its peak. New Balance is a significant contributor to the upkeep of the Clock Tower! 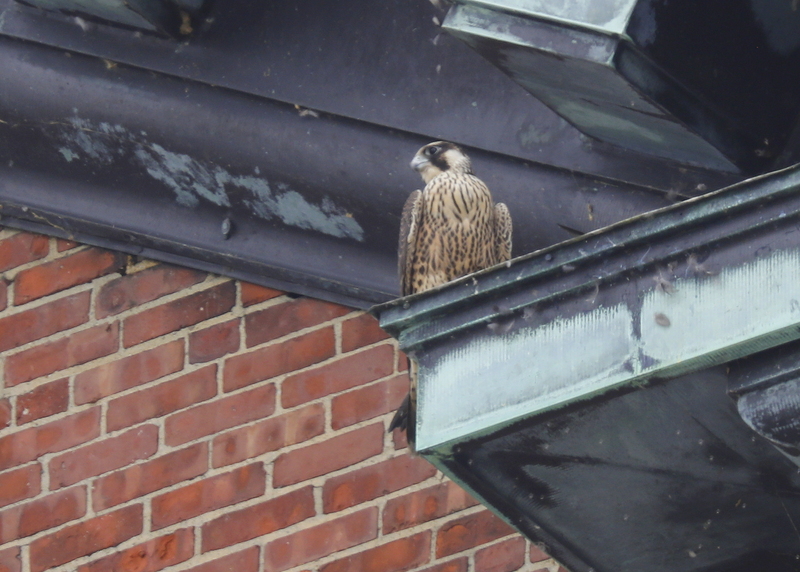 Peregrine Falcon fledgling: Verizon Tower! 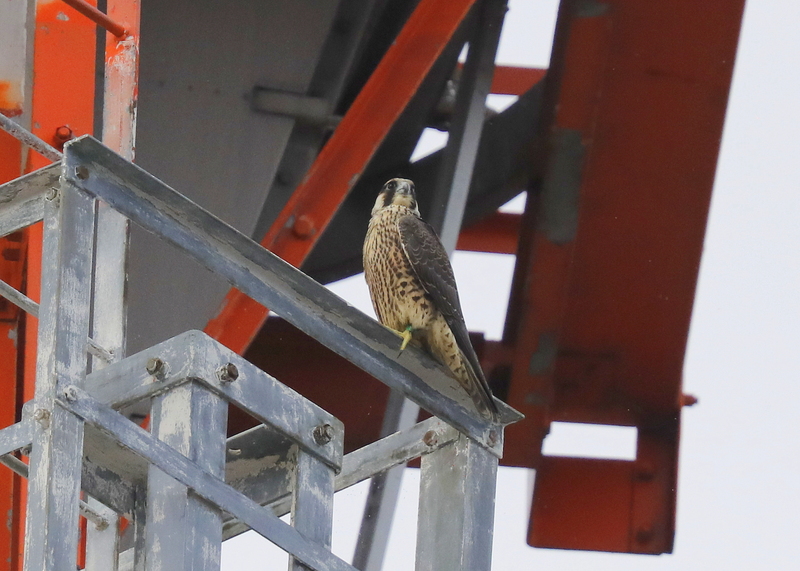 While scanning for Peregrine Falcons from near the Clock Tower mid-morning, saw a perched bird on the Verizon Cell Tower on Hampshire Street and made way over for a better look. 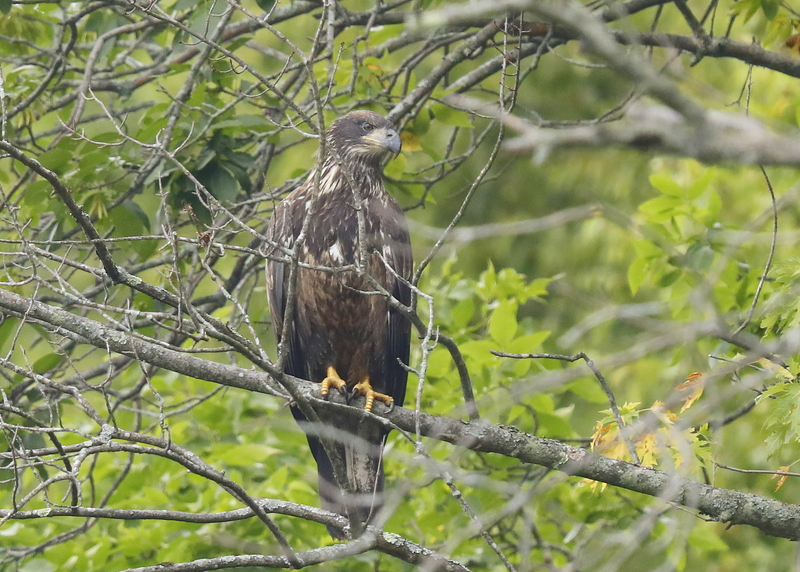 It was cloudy and overcast, but was able to get nice looks at one of the fledglings. It had a color-coded leg band but was unable to make out the alphanumeric code. 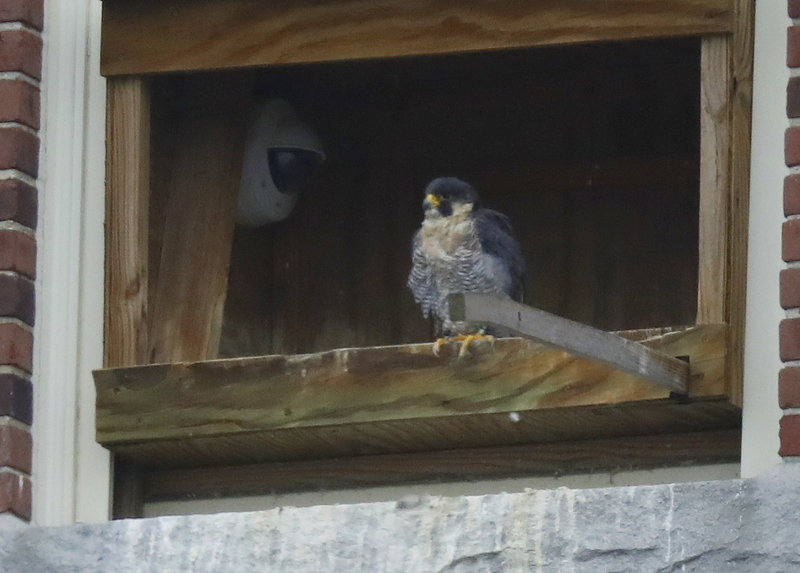 The fledglings usually find their way over to the Cell Tower after fledging for visits from time to time! 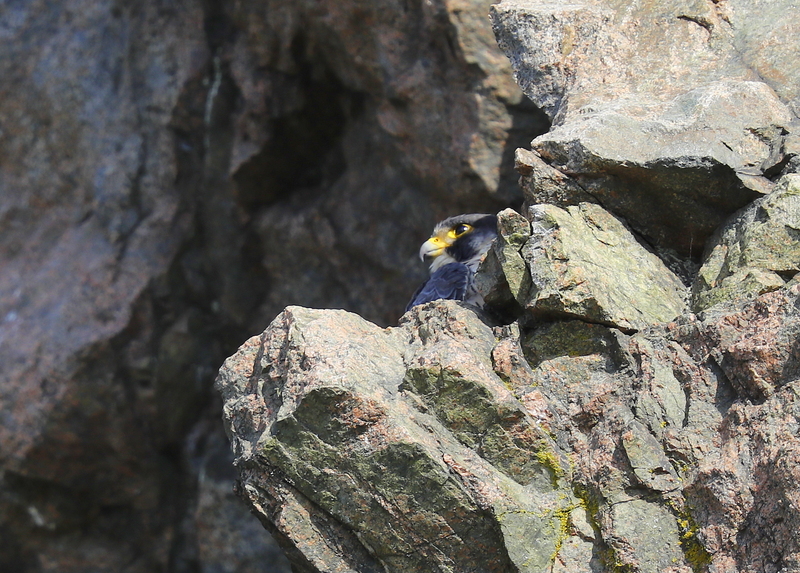 During a short brief visit to the Woburn Peregrines this morning, discovered the male well hidden behind one of the rocky outcroppings. On some visits, it takes some added time to find one of the adults as they tend to blend in so well with little movement! Here he was just barely visible! 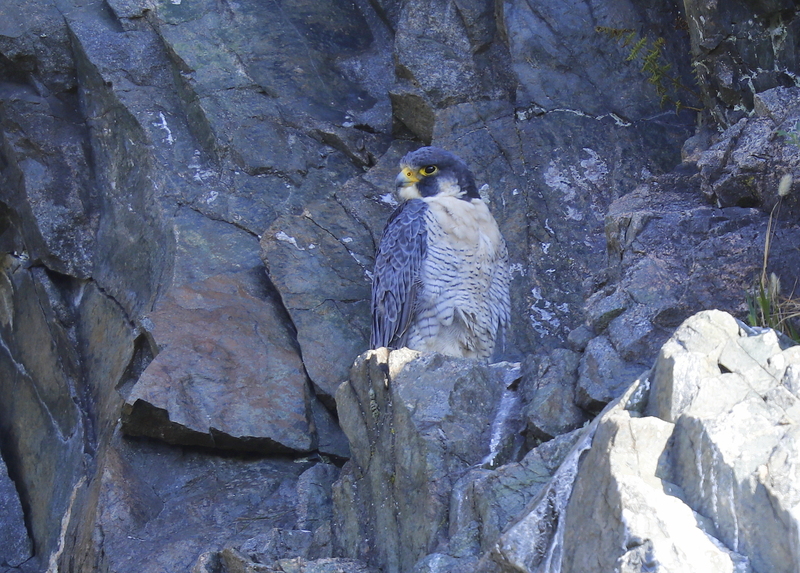 A nice mid-afternoon visit to the Woburn Peregrines with nice looks at the female in the midst of a right leg stretch! The sun had ducked behind the west quarry wall but the overall lighting was till fairly good. she was perched on one of her favorite tree branch perch locations with no other activity going on in the general area. She appears to have a full crop after a likely recent meal.